Description: Best Western Rio Grande Inn is a business categorized under hotels & motels, which is part of the larger category hotels & motels. 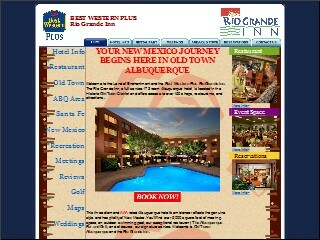 Best Western Rio Grande Inn is located at the address 1015 Rio Grande Blvd NW in Albuquerque, New Mexico 87104-2031. The Manager is Rebecca Plutino who can be contacted at (505)843-9500. Location & access map for "Best Western Rio Grande Inn"